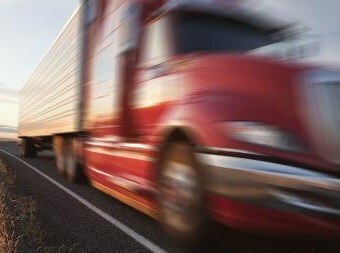 Trucking operators could be billed based on fuel use or the number of axles on their combinations under a plan to improve the heavy vehicle charging system. As part of its review of truck charges, the National Transport Commission (NTC) has released a discussion paper outlining a number of possible improvements that could be made to the existing system from July 1 next year. The paper recommends exploring if it is fairer to raise the fuel excise and reduce fixed registration charges so that those operators racking up significant kilometres pay more fees than low-mileage firms. Another proposal, which the industry will have a chance to discuss during public consultation forums, will explore an axle grouping charge to recognise that operators may use their prime movers and trailers to form different combinations. The NTC says the current system calculates charges on the basis articulated combinations such as B-doubles retain their configuration for the entire year. "In contrast, an axle grouping charge uses the number of axles in each group to determine the charge," the NTC says. The paper also lists a standard axle charge as another option. "However, from a pavement engineering perspective, it is preferable to use axle grouping charging rather than standard axle charging as the latter assumes heavy vehicle axles cause the same level of road wear regardless of the axle load which is unrealistic," the discussion paper reads. The NTC says "there is significant industry stakeholder support" for a switch to fuel charging. It says an investigation into the worth of fuel charging will involve looking at practical barriers, timeframes for implementing the scheme and solutions to potential problems. Furthermore, the NTC says it will need to identify how governments can look at recouping payments to make up for any loss of registration revenue under a higher fuel excise. The paper also recommends improving the level of transparency surrounding the charging process by having jurisdictions provide declarations that road expenditure figures are accurate and audited. "The NTC should investigate if jurisdictions can make available additional information on road quality and network performance where this already exists," the paper adds. The discussion paper also reviews the effectiveness of PAYGO and says it has performed well in its 17 years of operation despite some limitations. "We’ve found that while the current system has achieved its primary objective of ensuring industry pays its fair share of government spending on roads, changes could be made to ensure the system is fairer, easier to understand and more transparent," NTC Acing CEO George Konstandakos says. The paper's recommendations are designed to provide a short-term fix until proposals from the Heavy Vehicle Charging and Investment (HVCI) project are implemented. The HVCI is investigating new methods of charging trucks, such as mass-distance-location pricing. The industry has until April 2 to provide feedback to the discussion paper. A final suite of recommendations will go to transport ministers in May. "We’re holding a series of public consultation forums around the country during March to generate awareness and discussion about the proposed recommendations contained in the paper," Konstandakos says. He says the NTC has been working closely with the industry and governments to identify potential improvements to the charging process. The NTC last week recommended a 2.6 percent increase to registration and fuel charges to cover increased government spending on the road network. If ministers accept the proposal, the fuel excise will rise 0.66 cents per litre on July 1 this year. It will reduce the fuel tax credit to 11.98 cents per litre.